Epson Latin American presents F-Series Dye Sublimation fashion designs at their Cancun, Mexico meeting. Digital 2 You attended the presentation of fashion designer, Martha Brito Rhor designs that were all created using Epson F-Series dye sublimation techniques. 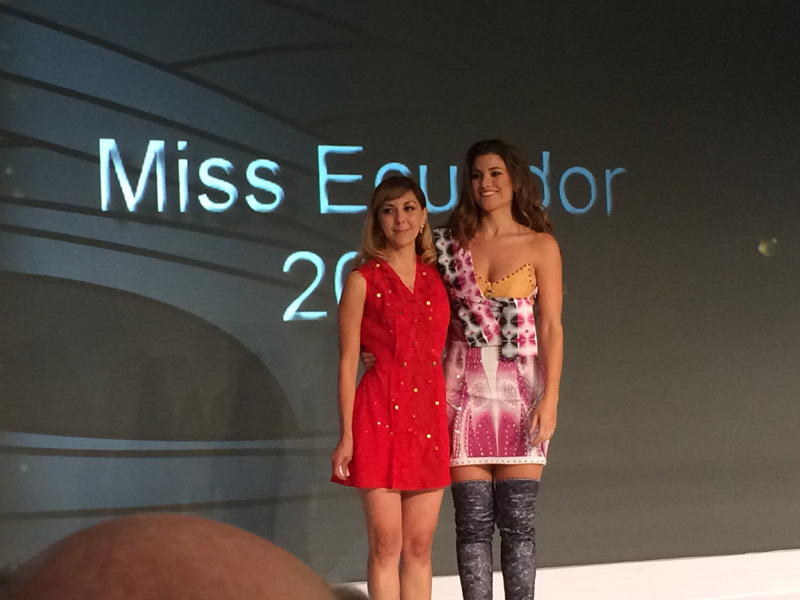 As one of Epson’s top dye sublimation systems integrators, Digital 2 You were invited to participate as Epson unveiled new dye sublimation printers and technologies at the Cancun fashion show, featuring 2013 Miss Ecuador, Constanza Baez modeling many of Martha’s creations. As a systems integrator of dye sublimation printing, Digital 2 You offers consulting services to the fashion, apparel and textile industry for dye sublimation, direct to fabric, heat press and fixation technologies. Color management of the entire process is quite critical and best managed with quality training, RIP software and workflow solutions. Digital 2 You is a leader in the apparel industry for Epson F-Series dye sublimation technologies.